What lies at the bottom of the ocean is a long-time source of intrigue, however, many of us lack the capabilities to explore it. What if you could virtually explore and dive on a shipwreck site from the very first archaeological survey, through to the present day? 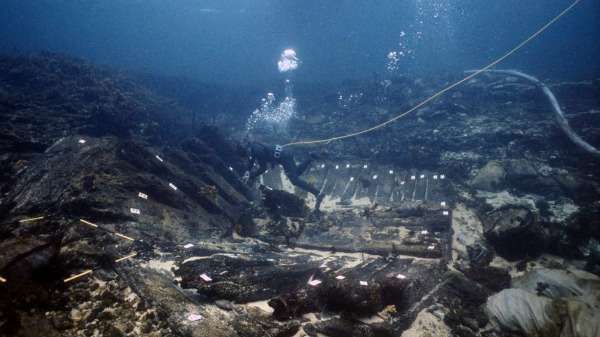 The 1629 Batavia shipwreck is one of Western Australia's most infamous maritime stories and the shipwreck has been extensively archaeologically studied over the past 40 years. The excavated hull is one of our most popular tourist attractions, housed in the Shipwreck Galleries in Fremantle. However, the shipwreck site itself is located approximately 60 kilometres from the mainland in the northern Wallabi Group of the Abrolhos, and public access to the site is challenging. For many practical reasons like this, it is rarely possible for the general public to visit most maritime archaeological sites. My work is based on developing, testing and refining a method for archaeologically recording an underwater shipwreck site with digital photogrammetry and using these images to create accurate three-dimensional (3D) digital models for archaeological interpretation. One major aspect of my work is accessing and reinvestigating the wealth of image data held within the Western Australian Museum's Department of Maritime Archaeology, which is also known as 'legacy' data. Hopefully, the outcome will be an engaging and interactive virtual reconstruction of the underwater shipwreck site from the first archaeological work through to the present day. Immersive and interactive visualisations of data are advancing rapidly and provide a wonderful opportunity for the public and archaeologists alike to virtually visit and explore a site. Traditionally two-dimensional (2D) photographs and site plans have been the only way to bring a remote site to the public. Digitally recreating a 1:1 scaled virtual site is, understandably, a much more engaging and understandable medium for public communication. To make this project possible I recently took another trip out to the Batavia wreck site and trialled the methodology required for recording the site. 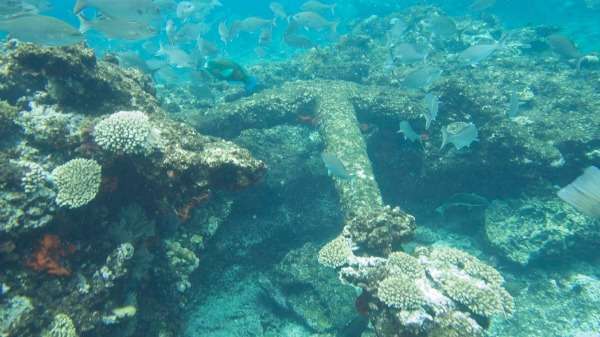 The underwater environment, especially on shipwreck sites, can be difficult to work in and dangerous at times. Batavia is one example of this, located on the outer ring of Morning Reef, it is regularly subjected to heavy swells. Luckily on this day the conditions were perfect and the underwater visibility was fantastic, allowing for quality image capturing. The results are still a work in progress and I need to further refine the methodology for recording shipwreck sites.